The recently introduced range of pocket PCs by ASUSTeK contains three models: Asus A600, A620 and A636. The first representative of the product line was tested a few days earlier and today we are examining another one - Asus A686. The device reasonably takes the medium spot between the junior A626 and the senior A696. Asus My Pal A686 carries GPS-module onboard, whereas the A626 comes with nothing of this kind included, but still, it lacks Wi-Fi. 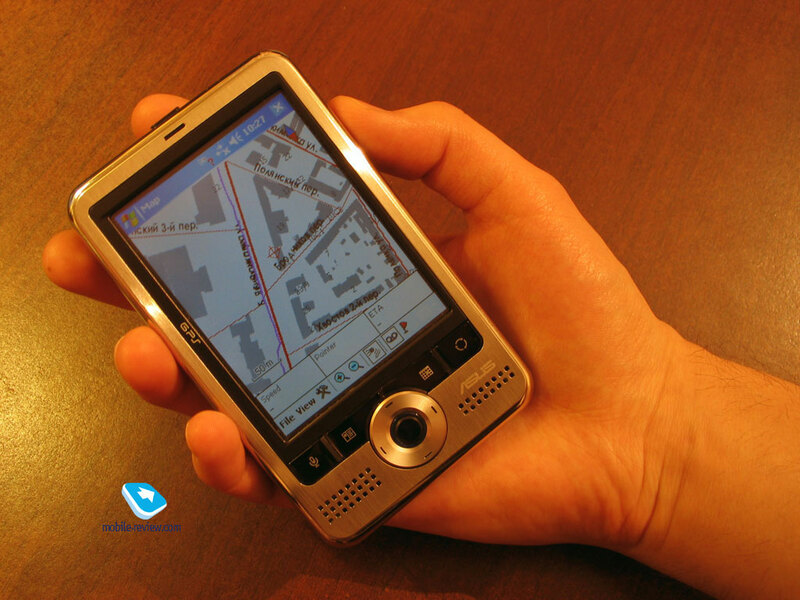 The company positions MyPal A686 as a basic solution packed with GPS-navigation abilities. It’s worth mentioning that in spite of by no means cutting-edge display with QVGA-resolution and lack of Wi-Fi the A686 seems to be a competent solution for GPS navigation specifically thanks to the time-proven GPS-chip SiRF Star III, and outstanding battery life. We should note it beforehand, that in the sense of design all three PDAs are identical. The only things that allow you to tell the difference are “GPS” label on the casing and the external antenna GPS-antenna slot for the A686 and the A696. If you have read already the review of Asus My Pal A626 you may readily miss the forthcoming paragraph and jump straight to performance an GPS navigation. 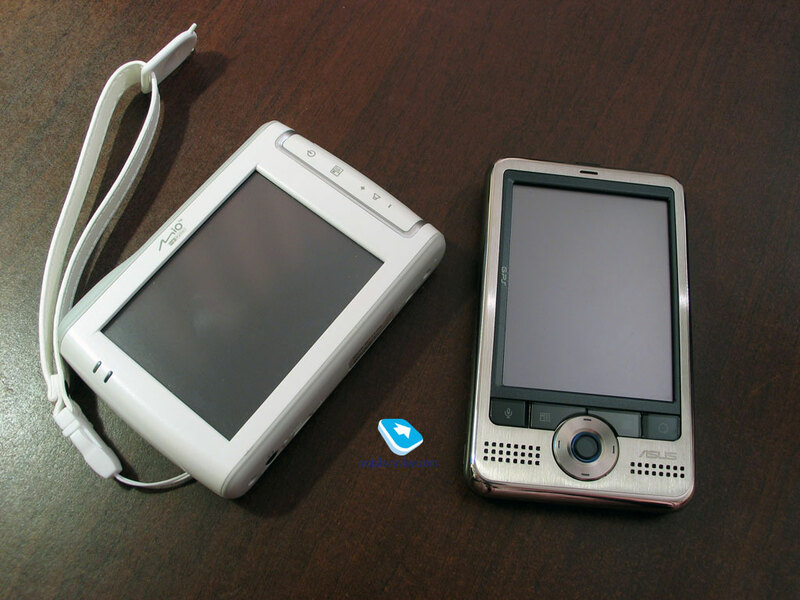 The device’s looks can be deemed traditional for Asus-branded PDA solutions. Availability of GPS-module in senior models leaves its own stamp on all offerings that belong to the line. In fact, that is why the first launch goes in landscape orientation. The asymmetrically placed display (if put the device in vertical position, it will be a bit closer to the right spine) serves as just another proof that landscape setup is intended for the A686. On the left-hand side sits “GPS” label. 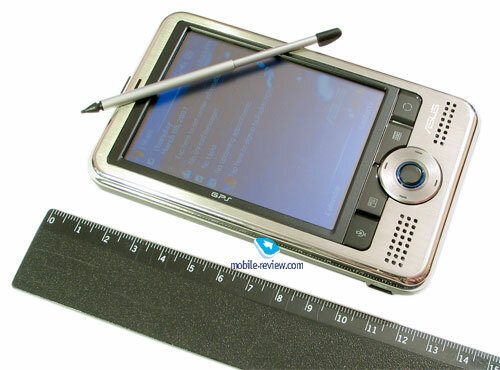 Measuring 117x70.8x15.7 mm at 165 g, the A626 fits in the image of a today’s PDA. 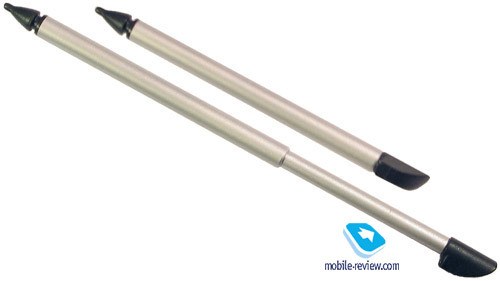 The device is larger in size than Acer n311 but is pretty much comparable with other solutions. 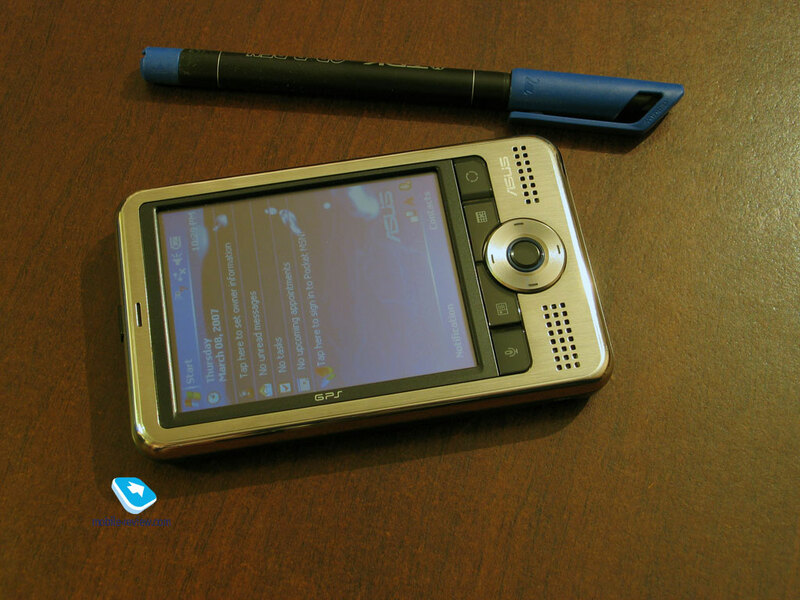 This PDA is meant to be carried in bag or briefcase in the first place; as although it comes packaged with a carrying case, it has no belt clip. 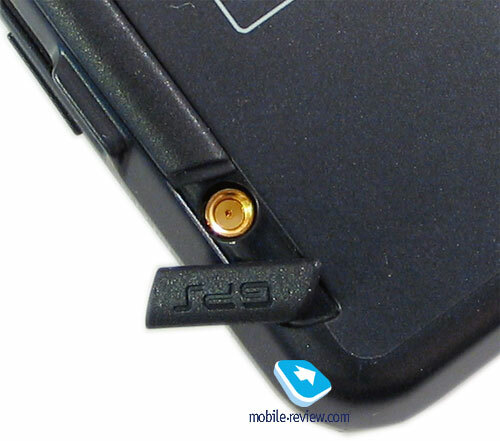 The case made of thick black material features Asus logo on the face and has firm grip on the PDA. The A686 comes in conventionally-looking rectangular form without protruding details and slightly rounded edges and spines. The PDA’s face has metal finish that goes along the perimeter and partly touches the side plates. 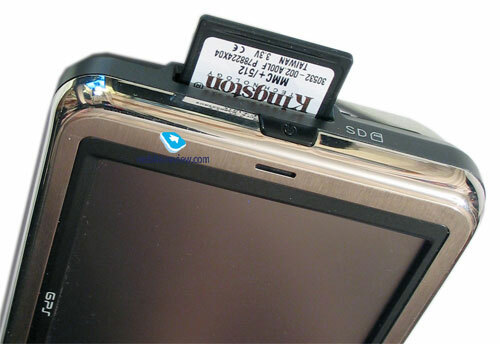 Black plastic is used for the display’s frame. Our review unit had silver front plate; however they are now planning to launch three extra trims: gold, blue and light blue. At that, the only part that varies in color is the front fascia, whereas the rest of the casing remains coated in black. The rear utilizes standard black plastic, which seems far too unsophisticated and cheap; and naturally the combination of metal and plastic is something we haven’t used to see too often, which makes for more primitive looks of the A626. This part also features a slot for GPS-antenna covered with a flap. Beneath the screen, on the face plate, you will find four keys and a round five-way navigation key. Further down on the left is a small speaker grill, on the opposite side is the similarly-patterned grill, hiding wireless interfaces indicator underneath, as for the rest it is here chiefly for the sake of it. The keys under display are dedicated to the following functions (from left to right): voice notes, contacts, calendar, quick menu, more of which later. 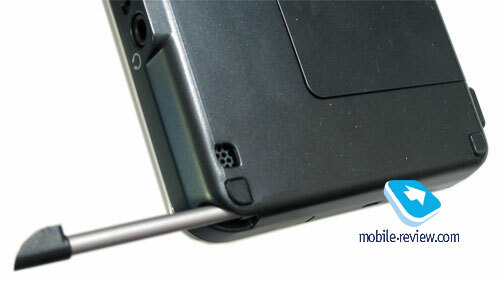 The left spine plays host to a Mini-USB slot which serves for linking up the PDA with PC or charging up the handheld. The slot is left uncovered. 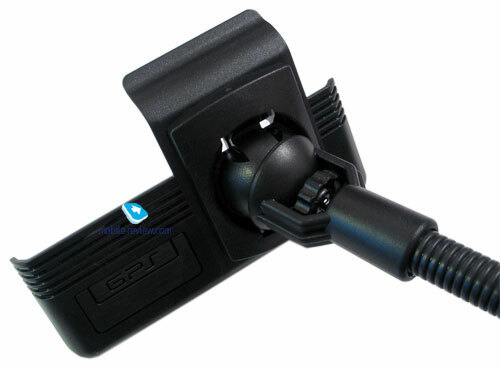 The right-hand side houses two elements: hold switch and 3.5mm audio jack. The elements mentioned, placed both on the spines and on the edges, are placed flush with the casing, which is a reasonable approach in view of GPS-module embedded, implying that the A686 is supposed to be used in car. That is why the casing is made flat with no protruding parts. 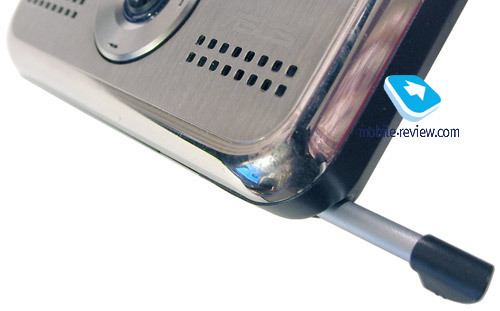 Presence of 3.5 mm jack for headphones gives you an opportunity to use Asus A626 as a music player. 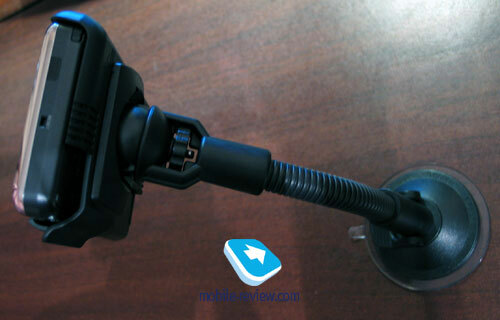 We tasted sound quality with in-ear headphones Sennheiser MXL 51 and on-ear type - Sennheiser HD-212 Pro. The sound proved to be clear without any unwanted noises. Top volume level is not particularly high, but seems sufficient for using the player on the street. Of course, music-conscious users will definitely turn up their noses at the A626, but our point of view is purely subjective. The upper edge is armed with the power button and unprotected memory expansion slot. The card format applied here is one of the most wide-spread among PDAs – SD/MMC with SDIO support. The biggest memory card you can use with the A686 should be the most capacious unit on the market, just like we’ve come to expect. 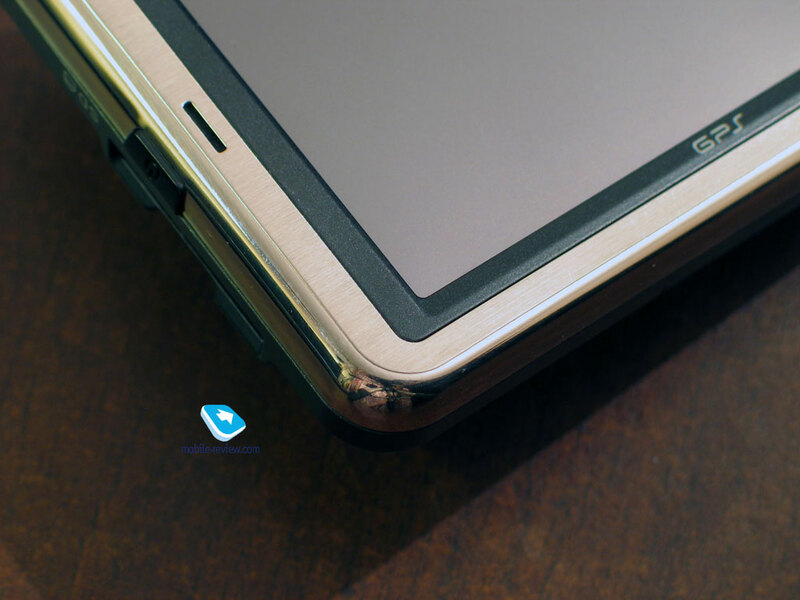 Switching to the bottom end, you can see the soft reset key and Infrared window, as well as the stylus silo. The stylus slides into the silo vertically, if you are holding the A686 sideways, which is quite different from our previous experience. 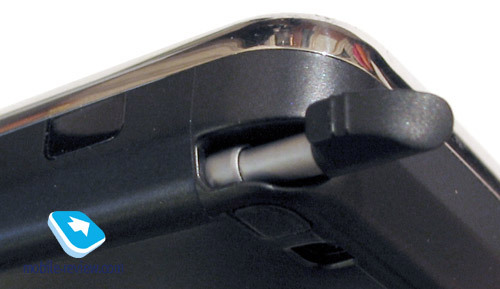 In other words, if you put the device vertically, the stylus socket will be located horizontally at the bottom edge. The advantage of this layout is that whichever way you hold the A626, the stylus will never end up sliding out of the silo on its own. 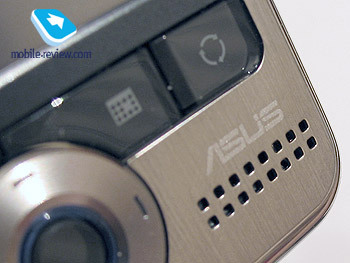 It is one of moot points about the whole of Asus’s updated range. The A686 sports touch-sensitive TFT-matrix measuring 3,5” from corner to corner. The active zone of the display at that makes up 70x52 mm with 320x240 pixel resolution and up to 65 K colors. Usage of QVGA resolution in the at-the-frontier PDA line-up is a questionable step. The company decided to arm the screen with glare filter, which makes for matte shine of the display and thus dim and faded picture. But this drawback is fully compensated by the screen’s high brightness and the ability to adjust this parameter precisely. The handheld carries a 1200 mAh Lo-Ion battery onboard, which is par for the course for many PDA by various manufacturers. Though, it is quite another matter that in many models capacity like that allows getting only moderate or even sub-standard figures of battery life. Though the A686 doesn’t fall flat on this front and even outdoes its already great sibling – the A626. As the manufacturer claims, in the A686 this capacity will be enough for 15 hours of music playback with the screen switched off and 5-6 hours of GPS navigation. Maximum load – Display brightness is set to maximum, thereupon with start up TCPMP player and initiate playback of 320x240 pixel movies. 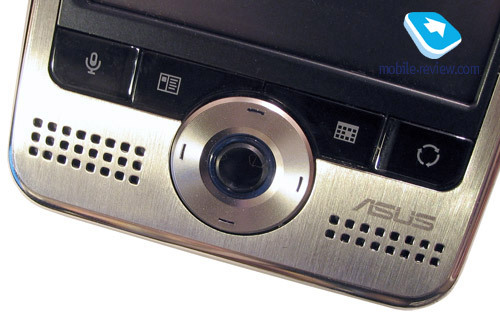 The figures for Asus A686 are up to other ASUSTeK-branded PDAs and even take the bar a step above. 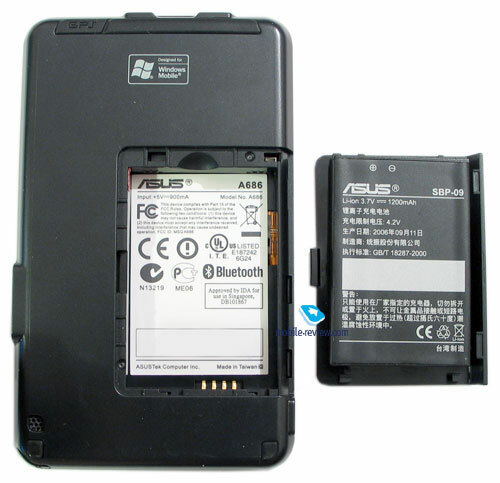 Like other Asus PDAs the A686 has shown the best rates in each mode compared to the models by other manufacturers. Specifically, it lasts 5 hours at maximum load and more then a day (!) in reading mode. MP3 mode made the A686 switch off in 23 hours 47 minutes, which automatically makes it one of the best all-round performers in terms of battery life to date. We carried out a standard test with SPB Benchmark pack. In view of the fact, that the test does not give an objective picture of the performance of handhelds running WM 5.0, we have extracted only a few types of data from it. In terms of performance, the A686 is among the best in our chart. It comes as no surprise that nothing has changed here since the A626, whose performance rates can be found in the respective review. 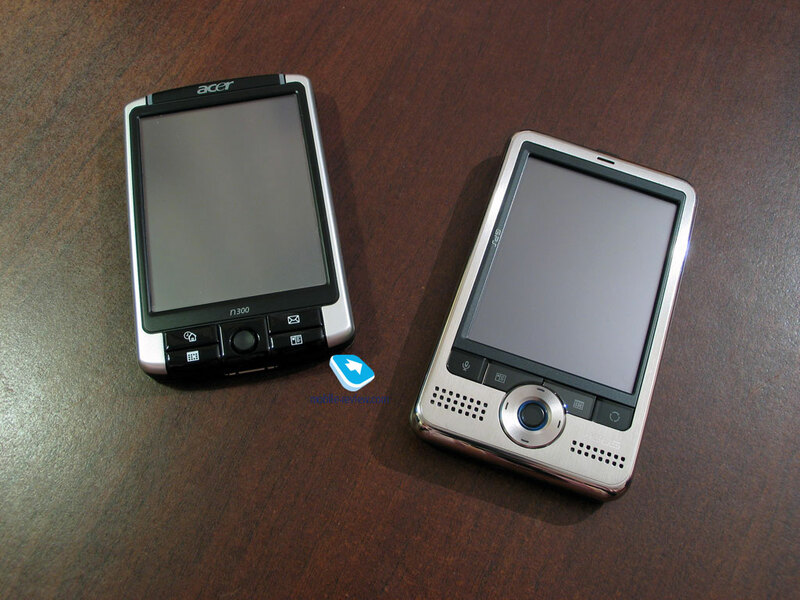 The PDA has Bluetooth and Infrared connectivity options onboard, though Asus wasn’t generous enough to arm the A686 with Wi-Fi. Probably it is due to the fact that if it actually had it, then it would impossible to set the A686 apart from the top of this line – Asus A696. 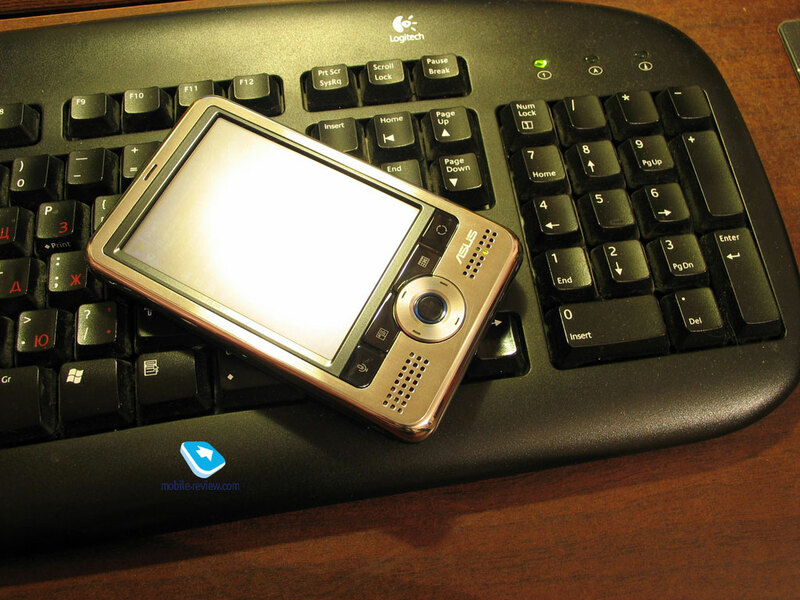 The device comes equipped with miniUSB cable used for synchronization with PC as well as for data connections. The A686 makes use of a dated USB 1.1 protocol, which limits the data connection speed to 12 Mbit/s. In practice it will take from 30 to 40 seconds to upload a 10Mb file to the handheld’s memory. 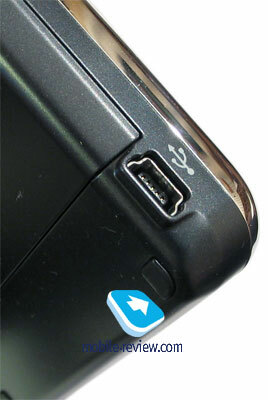 For USB-connection the capability to use PDA as a card reader is provided. To make this possible, you should enable this option in the USB settings. 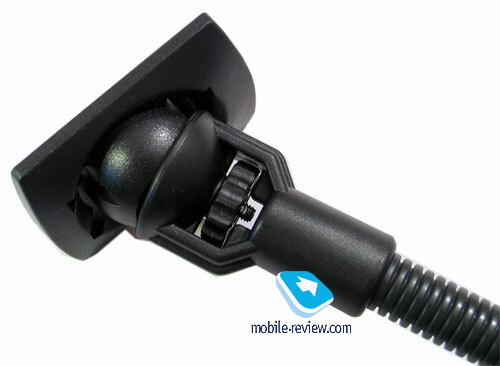 The device carries Bluetooth 2.0 module with EDR support onboard. 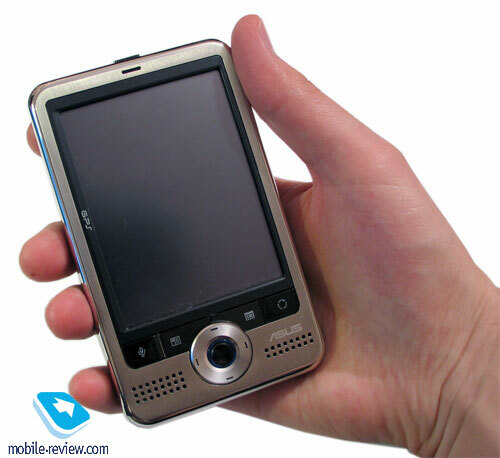 The PDA comes installed with Broadcom (Widcom) drives, which is a good thing, as many latest-and-greatest PDAs are preloaded with Microsoft’s software, whose functionality is limited The number of profiles supported can make unprepared user tremble. 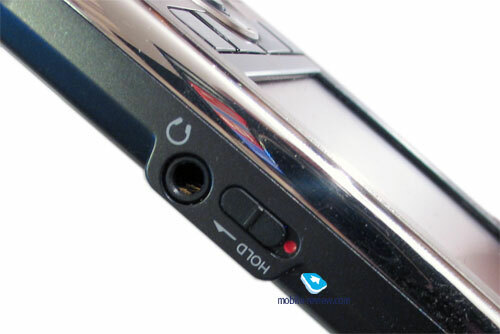 The A686 contains all necessary profiles including A2DP (stereo sound to Bluetooth-headset). 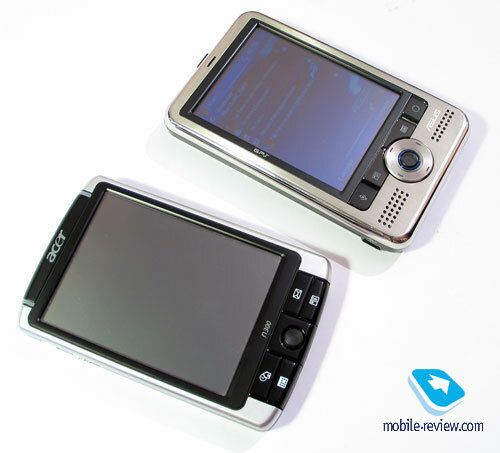 The device makes use of SiRF Star III GPS chip which is installed in most of communicators and handhelds these days. The chip is placed in the upper part of the casing. The cold start time makes 14 minutes, which is pretty much. It takes the A686 about 3-5 minutes to pick up the signal while on the streets. Though when we had it indoors, specifically 3 meters away from the window in a 5-level building, it spent about 20 minutes on getting online, but ultimately it managed to detect the signal and then didn’t let it go. We tested reception quality in car, moving around the center of Moscow. Take note that the device was always in my hands, that’s where some inaccuracies come from. The scale is 180 meters per 1cm. The route goes smoothly, in two places you may see how the line breaks. Now we are zooming in to 110 meters – breaks in the line become more apparent. The first lost of signal is caused on purpose - we just cover the casing’s upper part with hands for a few seconds, and this results in a 3-second long offline session for the A686. Scale – 55 meters. We are driving the car under the bridge, the signal is lost again. The device manages to reestablish connection in 50 seconds. In both cases when signal is regained, the navigator slightly distorts your located during the first minute. The recorded track lines reveal this in the form of lines crossing the route. Generally speaking, navigation with the A686 is quite accurate. When moving in a car with an adequate application installed on the Asus A686 (TotTom Navigator, for example), the navigator binds the route with road, so that the driver won’t deviations of a few or even a dozen of meters, since all of them will be smoothened by the application. 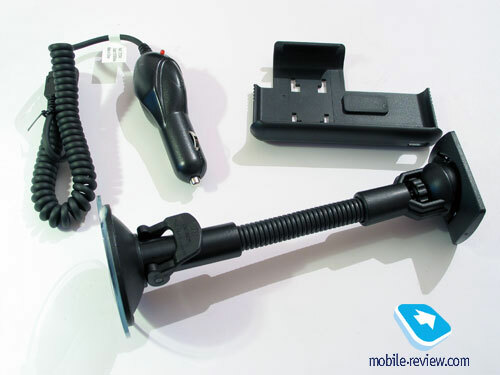 Now a couple of words on the sales package of the navigator – apart from standard constituents, it includes car charger and car holder, which is quite natural, taking account of the device’s main focus. Though these two widgets are nothing special – just about any GPS-navigator or GPS-equipped PDA comes boxed with a holder like this. Mode Switcher is a small app that proved to be of great help in practice. In fact, it does the same job as ALT+TAB combination on your desktop. If you remember, such combination is used to bring up menu to switch between active applications or programs. In Asus A626 everything is done in pretty much the same way with two modes at your disposal – active applications or system programs and options. The former allows you to browse launched applications, while with the latter, you will be able to go back to Today screen, start up Windows Media Player and rotate the display. By and large the conclusion on the new range of Asus PDAs is quite moot. This line-up almost doesn’t improve upon its predecessor, sporting only subtle design-related tweaks. Functionality-wise these two ranges are no different either. The A686 carries the same QVGA-display and PXA270 312 MHz CPU onboard. The main and, well, the only advantage of handhelds by Asus is supreme battery life – in this sense Asus is still out of competition. The model will best fit people looking for a basic car GPS-navigator. Of course, SiRF Star III chip does not provide altogether brilliant positioning for Asus A686, yet it copes with the essentials. The face-off between a GPS-navigator and GPS-enabled PDA is always won by the latter, thanks to its enhanced functionality an ability to choose navigation software. There is still no word on the handheld’s price, though you should expect less that 350-400-dollar worth price tag. Within at least this price-bracket the A686 has quite a lot of rivals that don’t necessarily match it in terms of feature-pack. 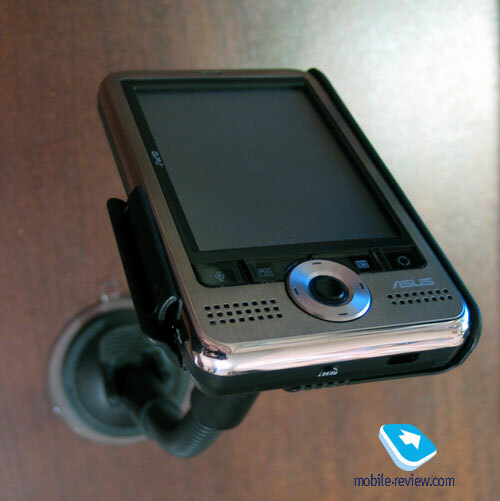 Its closest rival has to be HTC Galaxy platform and Qtek 100 that is based on it. Price under 350 USD mark, pocketable size and Wi-Fi onboard speak in favor of the latter. Thus much like Asus A626 the very decisive role for the A686 will be played by its pricing policy.